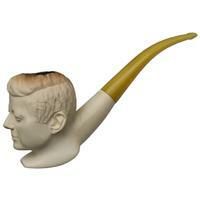 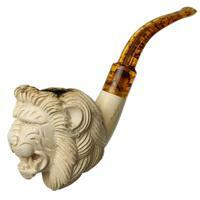 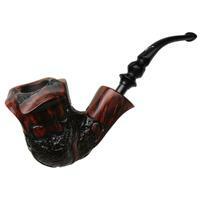 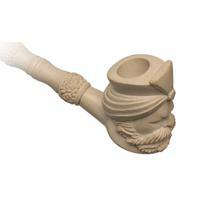 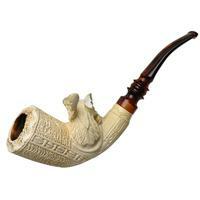 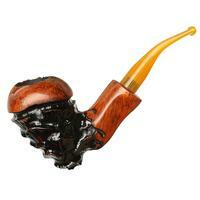 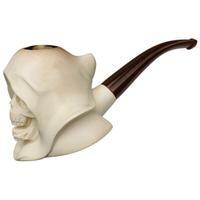 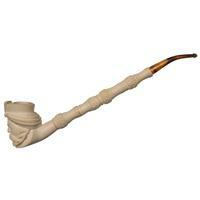 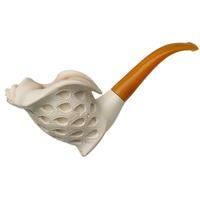 Elongated with a lengthy shank extension of meerschaum, this meer offers a generous Churchwarden profile, with a carved sultan's face comprising the bowl. 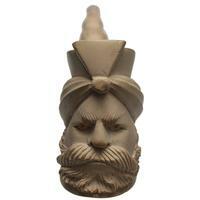 His moustachioed expression displays a look of angry disappointment, and there's plenty of chamber underneath his turban-adorned head. 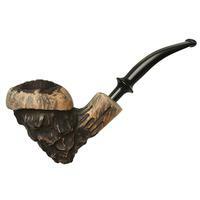 It's unsmoked, but there are some handling marks and discoloration to the finish. 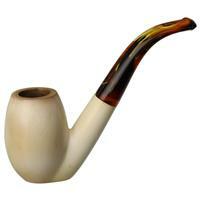 Bowl Height: 2.67 in./67.82 mm.